I confess that this confession is late due in part to being sick and part due to an Rx with codeine in it. I confess that yesterday I hit a brick wall with steel reinforcement. I confess I did not do my morning pages yesterday. Some will no what that is and others won't. All that is important here is they didn't get done. I confess that I recall little about my week prior to yesterday so I confess that I'm both late and done. Stick a fork in me. It's the age old question that keeps resurfacing like a bad cliche. Alexandra Petri writing in the Washington Post Journal asks, "Is Poetry Dead?" Ms. Petri writes, "I think the medium might not be loud enough any longer. There are about six people who buy new poetry, but they are not feeling very well." She says the last time she stumbled upon a poetry reading it was mostly students of the poet who were there hoping to earn extra credit. Over the years we've been down this road on this topic more times then there are MFA Writing Programs. The fact that we keep coming back to this same tired old question (can't you think of a more original title? ... you're a Journalist for Christ's sake!) says to me that the noun in the question is obviously still kicking along. It's easy to write these kinds of essays because a good deal of the population gets the joke, just like they laugh about fruit cake jokes. Because it's easy to do because, well everyone else seems to be laughing. And more people the joke then no. But you know what? Companies are still making fruit cakes, selling them, and laughing all the way to the bank. The truth is, we are a fractured society. And we are becoming more and more fractured by the increase in numbers of choices we are offered on a daily basis. What is successful in today's media grabs a smaller share of the market then when people came home from work and could basically turn on the three network TV stations and maybe one or two local independent stations. Poetry competes with everything else for it's place in the world. Linda Holmes who maintains the Monkey See blog of pop culture site explained the 2% rule as axiom used in television comedy on a recent NPR program in a discussion centered on the whole impact of our fractured interests on pop culture. Things that most everyone understood 15 years ago that became the subject of jokes on TV are replaced today by things that maybe 2% of the audience gets. Ms. Petri might be surprised to learn that this fall a university level Modern and Contemporary Poetry class was offered on Coursera - that was non-credit, attracted over 21,000 enrolled. There are poets such as Mary Oliver, Billy Collins, Sharon Oliver (to name a few) whose books are selling to broader numbers of people. Poetry continues to get a share of a universal market that is saturated with too many choices and too little time. It's like everything else. Is she being too harsh? She asks, hopeful she adds that she is wrong. I think her problem is that she is asking the wrong question. Wrong, because it keeps coming up. The fact that it does, year after year should tell her that poetry is a survivor. For poetry to die, language must die, That isn't happening. People are still buying fruit cakes too. I had one over the holiday season. Confession Tuesday - One of Those Moods Edition. It's been one week, seven morning pages, a new inaugural poem, a 49er Win (yeah) and a three day weekend since my last confession. The Monday/Tuesday is code word for I had a three day weekend and I'm paying for it. I confess that as days after a three day weekend go, this one I got hammered on. The Tuesday from hell! I could easily be in bed now at 7:00 PM and out for the night. But I'm not! I left work, picked up a prescription refill on the way home, made dinner and here I am tending to bloggerly duties. I confess that I'm going to brag a bit. I think it's worth mentioning that I made a list of several journals that I plan to systematically submit to over the first three months of the year. By that I mean I spent some time researching them and noting if they were accepting submissions during this period. Next I will plug these into my calendar and allow ample time to get the submissions off so that I'm not scrambling at 11:30 PM the night before the deadline to put the work together. I confess that when I have three day weekends I have high expectations for myself about what I am going to so. Like new year resolutions these more often then not fall short. I'm happy to say that while I did not get all done that I had hoped to this past weekend I did remarkably well at tackling my to do list. Yesterday, I watched the presidential inaugural ceremony. I'm pleased that it went off without a hitch as I must confess that I was concerned about the president's safety. I confess to that I was very impressed with the poem written and delivered by Richard Blanco for the inauguration. This poem hit home with me more then the inaugural poem 4 years ago.I'm not trying to get into a major comparison of the two here as they both have their merits, I'm just saying this one, at the moment I heard it, I really connected with it. I'm especially glad that our president has seen fit to elevate the arts in such a way that they are seen as a significant part of ordinary life. I confess that I've found another poet who's work I can recommend reading... Check out Tara Mae Mulroy. She has a number of pieces of her work that can be found on the Internet but her blog is really interesting too. It's called Poetry & Effrontery and I especially like reading her own commentary on her working poetry drafts. It's kind of like a play-by-play if I can use a sports analogy. Oh look, I just did. I confess that every once and a while I get into a mode where I want to explore and find new poets to read. I'm kind of in one of those moods. So if you know someone you'd recommend me checking out, feel free to leave a comment. I confess I have nothing else to confess. Yesterday at the grocery store I purchased some oranges on sale. My wife had one this morning and she called me in to ask about them. The initial tone of her voice lead .me to believe I was in somehow in disfavor. I wasn's however. 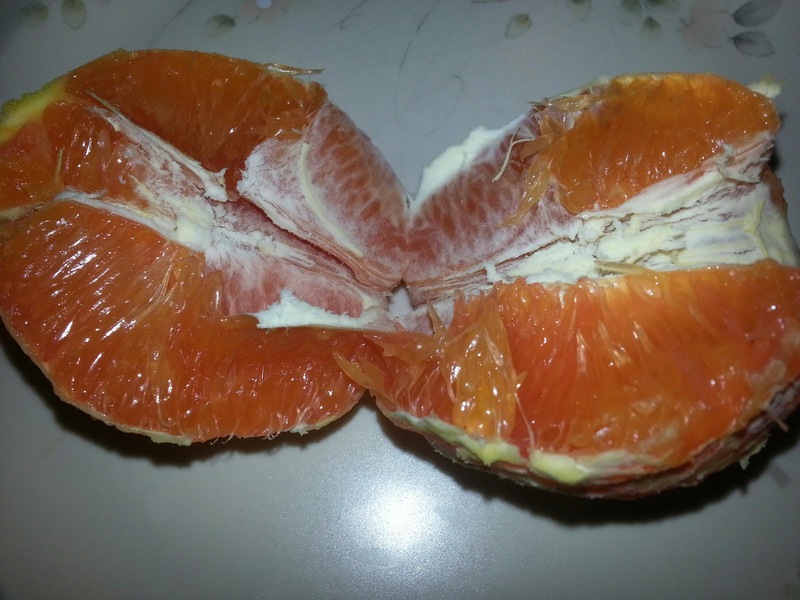 She was simply curious about the orange that seemed to resemble in some respects a ruby red grapefruit in color. We both tasted the orange and sweet mother of God, it was delicious. As a result, I went back to the store for more. For the record these are Cara Cara oranges. Mark Doty - Kansas City - Jan. 31 Midwest Poets Series. Mark Doty returns to the Midwest Poets Series (only the second poet to make a re-appearance) that has featured some of the most celebrated of poets of our time. Doty has written 12 books of poetry and 3 memoirs and received numerous awards and prizes for his work including T.S. Eliot Prize for Poetry, a National Book Award as well as the National Book Critics Circle Award. It's been one cold January week, a week of morning pages, and Artist's date and a a novel read since my last confession. I confess I finished reading a novel for no reason other then entertainment. That may seem like an odd thing to confess to but I don't typically read simply for pleasure. I may find for example reading a book of poetry pleasurable but I never really approach such reading as whimsical or strictly good fun. I'm odd like that I guess. I'm talking about a book that simply was mindless reading. Like going to one of those movies with little redeeming value. I confess I'll probably do it again. Speaking of reading, I had planned to come home for a bit last night and drive back into the city for an 8 PM reading at an open mic. So many of my work days lately have been long and draining and yesterday was no exception. The mailman delivered a book I ordered, The 6.5 Practices of a Moderately Successful Poet by Jeffrey Skinner. Seeing the book, I made an executive decision to stay home and read. I confess it was not a difficult decision to make and I have no regrets. Sure I need to be reading more, but this was a take care of Michael sort of thing. By the way, this book is interesting and I will likely have more to say about it as I am further into it or finish it. I confess that I'm learning a thing or two by way of the Artist's Way. This too is something for later posts but there are things already that I feel happening that may well be setting the foundation for an improved attitude about my artistic undertakings. I confess that I am a person who wants to be organized but finds disorganization like it were a magnet and I were metal. 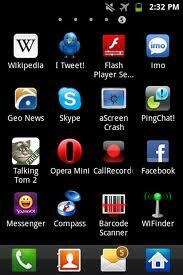 I confess that I have way too many applications on my phone. I confess that I want to by books every week but don't have the budget to keep up with my want list. When I do buy a new book I go over my wish list like I were doing triage in a MASH unit and trying to decide the life and death of a book on the list. It can get emotional. Ok, maybe just a little. Sometimes. And they all said, Amen! It's been a week since my last confession. A week and 7 morning pages. Follow me to the box and let's begin. I confess that sometimes this past week I've woken up in the wee hours of the morning and had trouble getting back to sleep. This might not be so annoying if in fact I was getting to sleep at a decent hour. Lately unsettled dogs in the house have set me back for starters and on occasion (but not always) they are the reason for waking prematurely. This is compounded by the fact that office work has been so intense lately that I come home exhausted to start with. The other day in spite of being awake at 3 A.M. I was able to get back to sleep and have some wildly eventful dreams after falling back to sleep. This tells me in hit REM and that's good sleeping. Getting back to morning pages, I confess that starting the Artist's Way has revealed some interesting things to me. If you are not familiar with morning pages they are written about anything and everything that comes into your mind. They are like stream of conscious writing. This flushing out of the mind each day is not to shared with anyone else or even reread for a period of time so I will not go into detail. In fact I can't necessarily recall everything I've written but I will confess that their are some things that have been revealed to me that challenge some of my habits and thinking. Since one of the things in the book that I read in advance of week one suggests there are things we might feel uncomfortable about I can attest that this is already happening. But this is a good thing, right? I confess that I will hit what my wife said the kids called a milestone birthday on Thursday. No, I'm not turning 100. I don't think of birthday's as milestones except maybe 100. Milestones in years are like years on the job or number of years married. Those are milestones. I confess the only thing worse then turning my age would be NOT turning my age. Does that make sense? I confess that I subscribed to Duotrope. I'm hope subscription price will shame me in to submitting more work. I didn't do bad last year but I'm hopeful that 2013 will be a robust year for both submissions and acceptances. The other day I began pondering if I should dump the name of this blog. I've blogged here under the name Stickpoet since 2003 if my memory serves me correctly. (I could look at my first date in the archives if I was not too lazy) I liked the sort of comic identity but have recently wondered if it's unbecoming. Too silly to be seen seriously. Do I even care to be taken seriously? Of course I want my work to be taken seriously. I confess this may be over-thinking. I sometimes do that. I think it's a Capricorn thing. Across the street from my home is a large field with a baseball diamond. (an added bonus when we looked at the house) I've knocked around some fly balls in it and played catch. Not as often as I'd like to have but even knowing it's there is still a cheap thrill. I enjoy it when others use the field for baseball or just to practice. Not so much for soccer or football practice. Some things are sacred. But each year I do enjoy the return of the geese. 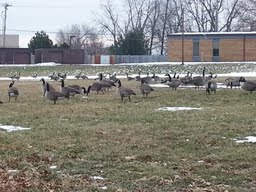 To the geese I always extend a hearty welcome. Sometimes there are 30 to 40 that arrive. Other times there are in excess of 100. This weekend I thought the number exceptionally high and I began to count. They are really not hard to count because they will stand still for me for the most part Spread out over the field there were 175 that I counted. Now I may be off + or - 1 or 2 but I'd say no more. So for the sake of this reporting I will go with the 175 number and it established a new high count. Thinking about the geese there are a couple of things right off that I like about them. For starters the fact that they return a couple of different period of time during the year. I like that they come back to where they know. I also appreciate that when they are walking around they seem to be doing their own thing. The are individuals. But they also belong to a larger community. When they go and come it is together. And they will fly off in a beautiful formation once aloft... Their aerodynamics is something to behold. ; and they know their leader. There is no bickering among them as to who is to lead. This may of course occur in private smoke filled rooms but they do not air their dirty laundry or do political backstabbing in plain view and I appreciate that about them. They have blessed me with a return again this winter and for that I am thankful. I'm late. Yes I'm starting this out nearly an hour into Wednesday. I confess that it had not occurred to me that it was Tuesday in spite of answering my wife's question as to what day it was esrlier in the eveving. It's like I knew without it ever really registering. My mind has apparently been on break from reality. Reality is so overrated. I confess that in the morning I will of course meet the sun with a different perspective but I confess I will not be s willing participant in this. Even on holidays or other days off I don't generally find it easy to lose myself in the moment. I confess that I did tonight and I liked it. I'm committing this month to undertake The Artist's Way in order to better connect with the artist that is within me, to explore it, to listen to it, nurture it, grow it and realize the potential that is there, often overlooked or hindered. I understand that I am undertaking an intensive, guided encounter with my own creativity. I commit myself to the twelve week duration of the course. I commit to weekly reading, daily morning pages, a weekly artist date, and the fulfillment of each week's tasks. I further understand that this course will raise issues and emotions for me to deal with. I commit myself to excellent self-care, adequate sleep, diet, exercise and pampering for the duration of the course.